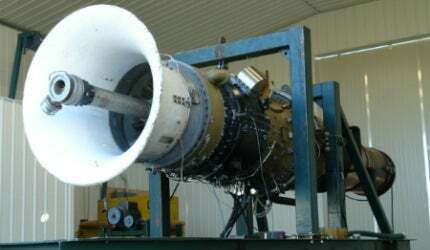 Maddex Turbine Services Ltd is an independent overhaul and maintenance facility for industrial gas turbines. Located in Fort St John, British Columbia, Canada, we specialise in overhaul and maintenance services for a wide variety of aero-derivative and light industrial gas turbine engines used in electrical generation and gas compression facilities. Our main aim is to provide customers with quality workmanship and reliable engines cost-effectively. All engine lines are fully supported by a complete inventory stock of new and reconditioned spare parts. Maddex Turbine Services Ltd has the ability to test all supported engine lines in order to ensure our customers are completely satisfied with their engine before it leaves our facility. We like to offer an induction test prior to our overhaul or repair services, allowing customers to witness the performance characteristics before and after the engine service. Our customers can rest assured that they have been provided with an industry leading product, backed by our experienced team. Maddex Turbine Services Ltd offers engine exchange and leasing programmes, which provide customers with additional options in order to fit the constraints of time and budgets faced regularly within our growing industry. We also provide outright engine sales should our customers require an additional unit for their gas turbine fleet. Maddex Turbine Services Ltd also provides gas turbine engine auxiliary overhauls and component repairs to suit customers’ needs. We have in our inventory a wide range of overhauled and repaired auxiliary assemblies ready for immediate shipment should an emergency arise. Maddex Turbine Services Ltd has been proudly providing quality products and services in the industrial gas turbine industry since 2005. Our focus is to continue to provide quality products and services at a competitive price to companies around the world. We encourage you to use the contact details below and allow us to help you with your next gas turbine project.